Japari is acutely aware of the vital role that learning support plays in ensuring the holistic development of our learners. Each child has a different set of strengths and abilities. Each child also learns in a particular way. 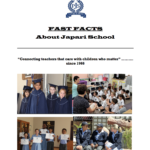 Japari endeavours to develop every individual child, meeting their social, academic and emotional needs. Japari’s Individual Education Plans (IEP’s) aim to ensure that all our learners experience success and grow in confidence. The IEP’s are also key to seeing the children receive the particular support they each need. In this way, we make sure each child enjoys the best learning experience. We also aim to improve each learner’s natural skills. This is because we see the need for the children to become adept at tasks necessary for functioning in the world. These tasks might not come quite so easily to them. We develop skills in such a way as to encourage growth and enjoyment. At Japari, we pride ourselves in seeing all our learners reach their full potential. Even those who might not have known great success in more traditional schooling systems are helped to know and enjoy success. Essential to Japari’s learner support is the continued assessment of each child’s progress. We monitor each learner’s needs and outcomes. We implement any adjustments required for the child’s development in a non-disruptive manner. Our goal here is to enhance the progress and growth of the learner at any given time. Japari also strives to be on the cutting edge of advances in education research and trends. When we observe obstacles to the development of a particular learner, we may recommend education intervention. We determine how best to support their learning. We provide this support within the classroom. The goal of this learning support is to speed up the child’s progress in a helpful and supportive way. We have had consistent success in preventing learners from falling behind. 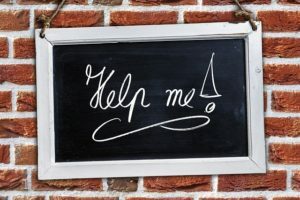 Part of the intervention may be to address any misconceptions that might have developed before the child started receiving the learning support. Intervention is always tailored to the child’s specific needs. The staff working to ensure that the children receive practical learning support comprise of four senior staff, an entire reading department, a music teacher, and 5 therapists. These therapists specialise in occupational therapy, speech and language and physiotherapy. All these disciplines are applied to meet the needs of our learners. The therapeutic assessment component of the learning support offered by Japari covers a wide range of needs and helps. These include scholastic, perceptual and sensory-motor, cognitive, social-emotional, projective and personality assessments. To ensure that the assessments are yielding useful and accurate results for learner support, Japari uses proven testing methods. The multi-disciplinary nature of our team of therapists guarantees that the unified results of the tests are accurate. This means that the decisions and adjustments made in conjunction with our learners’ parents will be well-informed and best for each child. The reading department alone has 8 dedicated teachers giving specific learning support for reading to all the grade 2 to 5 pupils. The aim is for the children to be able to gain knowledge from reading for themselves. The individual approach used by Japari will foster a life-long love of reading, which is essential for effective learning. What if all this learning support and intervention isn’t effective for my child? In such rare cases, Japari offers support and guidance to parents to consider alternative methods and if necessary, possible alternative environment options. Japari prioritises learning support of our children, and we will do everything we can to ensure the best results for the learners, helping parents every step of the way to see their children growing and developing through the continual refinement of their IEP’s.